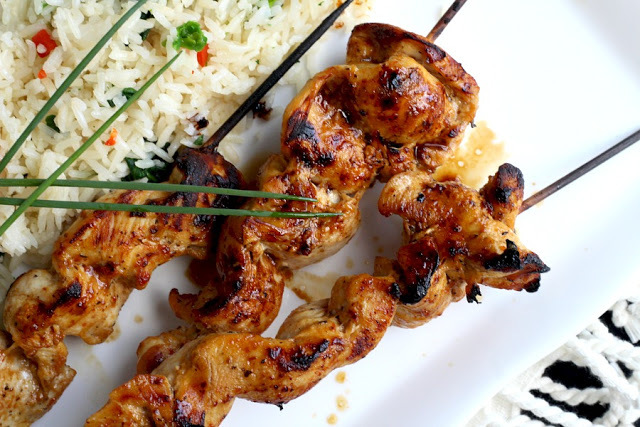 You won’t believe how easy it is to make grilled chicken kabobs and how moist and tender they are! Just two ingredients ~ that’s it! And, you probably already have them in your pantry. 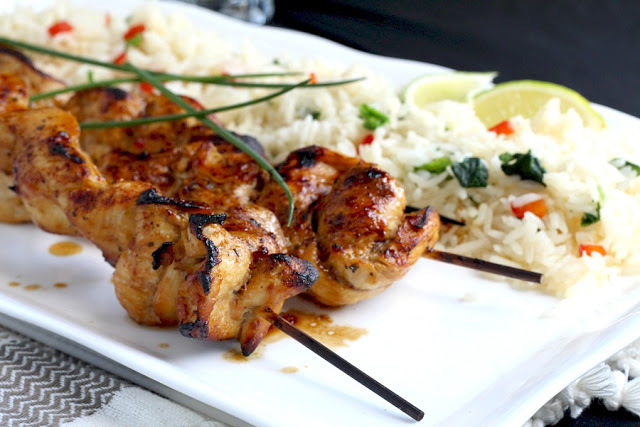 Combined together they make a flavorful marinade with just a hint of sweetness. Italian salad dressing and molasses are the two ingredients that make up the marinade. My favorite Italian dressing is Ken’s but I also keep packets of Good Seasons Italian Dressing Mix in the pantry for convenience and because we like the way it tastes. 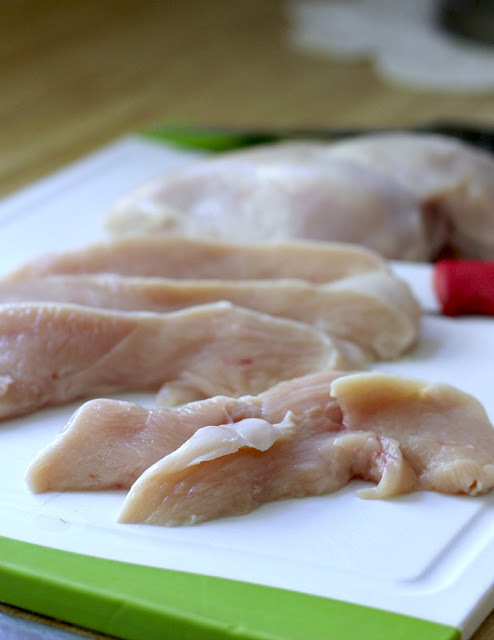 Begin by slicing skinless, boneless chicken breasts into 3/4-inch slices. Stir molasses into Italian salad dressing until combined. You can use bottled dressing, dressing made from seasoning packets like Good Seasonings or your own Italian dressing recipe. Add the sliced chicken breast to the mixture and cover with a lid or plastic wrap. Allow the chicken to marinate for at least a few hours and up to overnight. 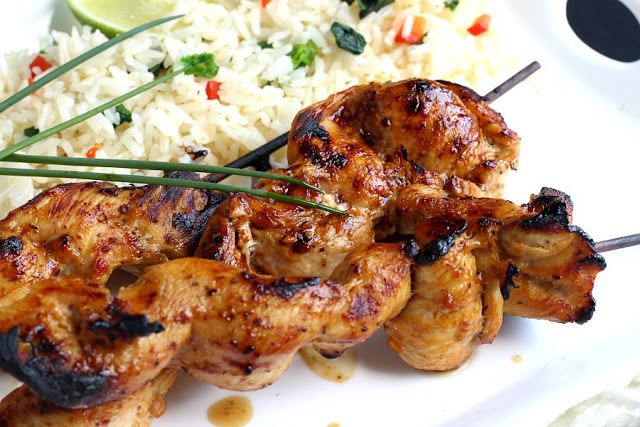 The longer the chicken marinates the more favorite it has and the better it gets. For a super convenient, ready-to-cook entree, I sometimes slice chicken breast right after I get it home from the grocery store. 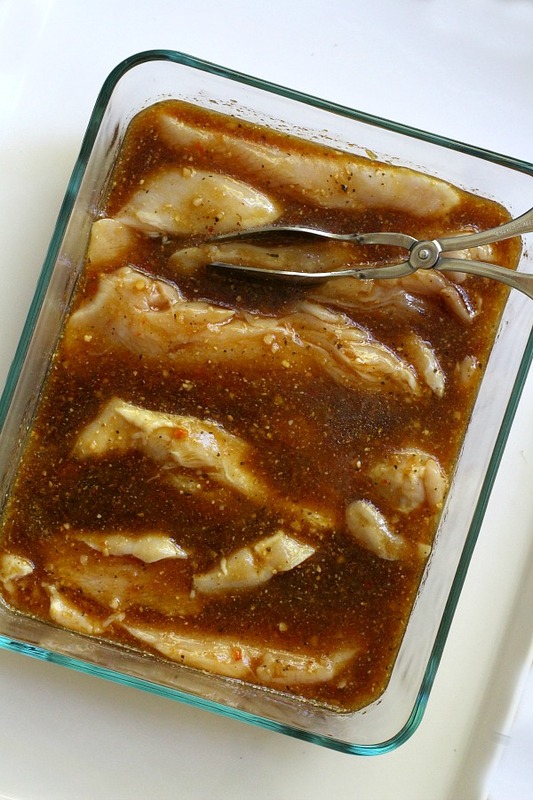 To do this, prepare the marinade in a freezer-safe, zip-closure bag and add the chicken pieces. After pressing out the excess air and sealing tightly, pop the bag into the freezer. When you want a quick-to-prepare meal, pull it out of the freezer and allow to thaw. The chicken will have marinated perfectly and be ready to be threaded onto the skewers and then cooked. Remove the chicken from the marinade and discard marinade. 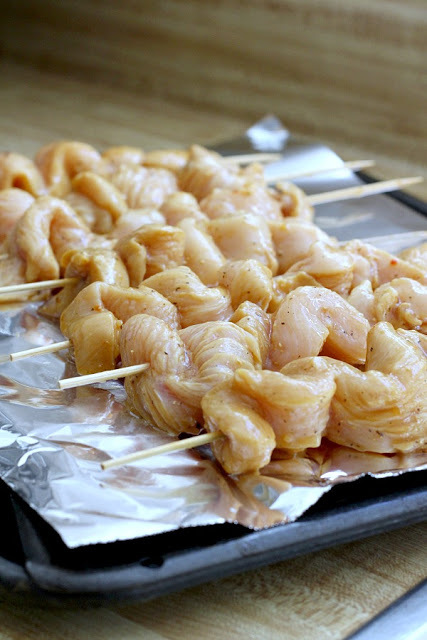 Thread the strips of chicken onto skewers. If using wooded ones, be sure to soak them in water for 30 minutes before threading on the chicken to prevent burning. The kabobs can be cooked on the grill until the chicken is cooked through and no longer pink. In winter months or if you prefer, they cook well under the oven broiler. 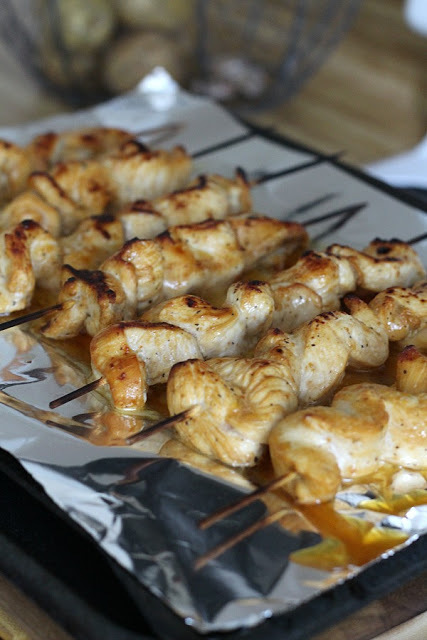 Place the kabobs onto a broiler pan lined with foil. Depending on the size of the chicken pieces, broil until cooked through and no longer pink. I place the pan on an oven rack about 5-inches from the top and broil on high about 5 minutes; turn and continue cooking 3-4 minutes longer. Ovens vary and you may need to adjust the distance from the heat or the broiler setting. Avoid over cooking and drying out the chicken. In a glass dish or zip-closure bag, combine the Italian salad dressing and molasses. Add the chicken strips and turn until coated. Cover with a lid or plastic wrap or seal the bag. Place into the refrigerator and allow to marinate for at least a few hours or up to 12-hours. Thread the chicken strips onto skewers. Grill until cooked through and no longer pink. 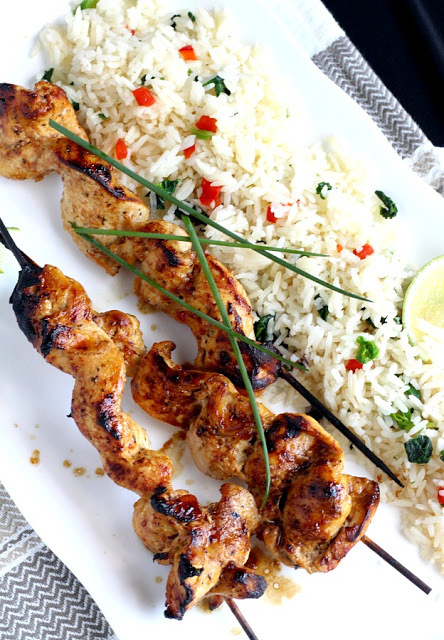 Serve grilled marinated chicken with rice or egg noodles, if desired. Oh my, but these do look delicious! 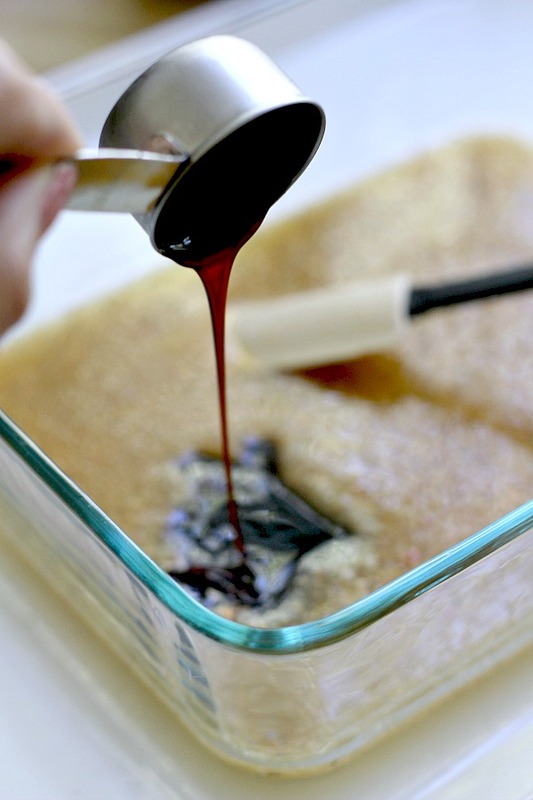 We use italian dressing as a rule for a marinade but have never thought of adding molasses. It doesn't get any easier than that! 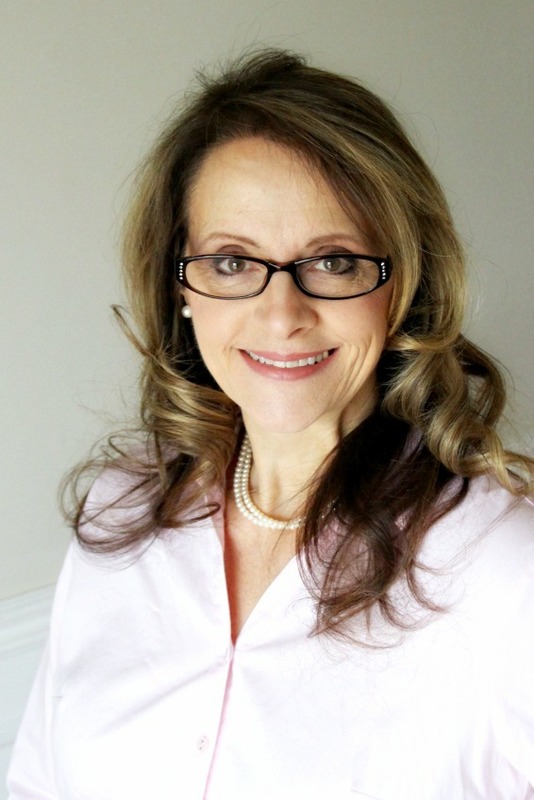 Thanks for sharing, Lorraine! Looks easy. I'd have to use my homemade Italian dressing for this. I may have to try it soon. Thanks.